So, latest beta 5.2.3.500 asks for flash install, It doesn't matter if I select install and even if it says it is installed, next time i asks again. Would it be possible to use the standard Flash plugin from Adobe instead of this unknown thing? Place this Pepflash file in Maxthon5/Core/Plugins. Flash is being replaced by HTML5. It installs in that folder because that is the last one that you installed Maxthon into, nothing to do with the release. When you install, click on Advanced in the lower right corner of the install dialog window and change the install folder name to what you want it to be. Unfortunately it's not correct: i completely removed Maxthon to reinstall it, and Maxthon folder was completely deleted from "C:\Program Files (x86)\" after that. Then installation pane, with "Advanced" option, only proposes "C:\Program Files (x86)\Maxthon5\" that recreates the "C:\Program Files (x86)\Maxthon5\" main folder and then, automatically and silently, a subfolder in it related to version, i.e. 5.2.2.1000 in any case. Have you tried a fresh installation at all, to see what happens and the bug related to persistent request to install the Flash plugin? 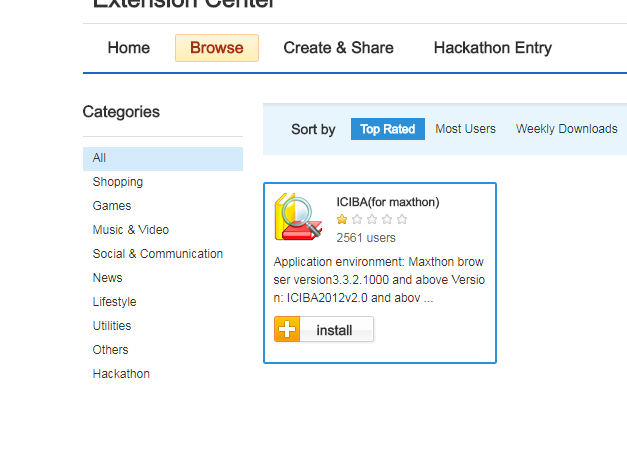 I'm a tester and have been installing Maxthon releases since 2004. 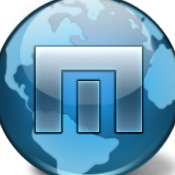 The Maxthon installer remembers where your last install went. I never have used the subfolders but instead install all of my versions (public and internal) into new folders with the name of the version series. I.E. Maxthon5.1.6.x, Maxthon5.2.2.x, Maxthon5.2.3.x since I see so many versions (I currently have four Maxthon versions installed), and I never install a new series over and older one. I also don't let Maxthon autoupdate itself so that I have control over where and how it is installed. ( I realize most folks just want to use it and not mess with this stuff most of the time) So, no I haven't done a total fresh install in a long time (I'm assuming that you mean that you also remove the %appdat%\roaming\Maxthon5 folder, which is the data file for all Maxthon 5 versions and installs, as well as the Program Files (x86) Maxthon5 folder when you say "fresh install") so I have seen that Maxthon wants to create the subfolder when I go to the Advanced dialog a long time ago and just eliminated it in the path line; now the installer displays where my last install went and I can either accept that path or modify it. And I have never seen anything about a request to install Flash Plugin. A while ago, there was Flash Updater utility posted by one of my fellow insiders called "MX Flash Updater_1.05" that I run after each new installation that updates the flash for Maxthon to the latest flash that Windows has installed. I'm not sure if that utility is still available on the forum but maybe it's author will read this and fill us all in on where it may be downloaded from. I will also attempt to find it myself. That file is the correct adobe flash (last version) signed by adobe on April 29, should not give you any problem. Place it where they have indicated you. Even so, I would recommend, uninstall maxthon in its entirety (previous backup of your data %appdata%\maxthon5 , and install the portable version, once unzipped, place the file pepflashplayer.dll, as you have been told. Go to the https://get.adobe.com/es/flashplayer/about/ page. and check that you have it working. Not sure how you dug up that old thread. 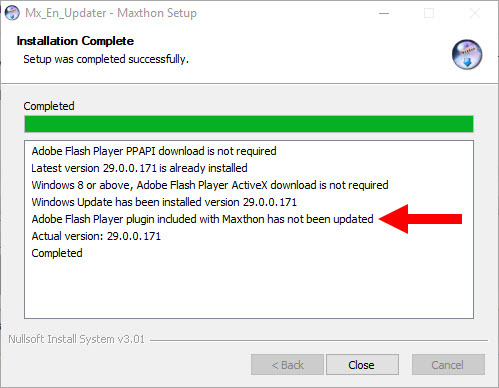 The Adobe Flash and Maxthon thread is still pinned which has a link to the most recent version of the updater. I did a search for MX Flash Updater and that is one thread that came up, and the one you link to was not there. Thanks for coming to the rescue on the later version. This worked, however I think this is terrible mistake by Maxthon. First they refuse to use system wide flash version installed on PC and now they remove it from installation, ask you to install it and fail at that? Exactly. And this Maxthon remembers sh*t is hilarious. So how come it remembered 5.2.2.1000 even though I was on 5.2.3.500 before and on 5.2.300 before that? And why it didn't remember 5.2.1.6000 before 5.2.2.1000? All chrome/Webkit based browsers use Pepflash. It's more secure. 2.Delete all local Flash file, I mean, check whether there has Flash file on your computer registry. There's still something wrong... i searched through the registry and only found HKCU\Software\Maxthon5\Flash containing a single entry "27.0.0.187" (i think related to Flash version) of REG_SZ type and value %AppData%\Roaming\Maxthon5\Temp\Flash\pepflashplayer.dll. BTW, Flash currently distributed by Adobe, and installed on my pc for all browser types, is 29.0.0.171: why MX5 is always installing the older 27.0.0.187? It hasn't been updated to account for the file being missing, but just make sure you run as Admin, and it will be copied over correctly. Have you switch Maxthon account? The installed Flash file only corresponding one account in registry. If you haven't switch any account and then happened this situation. Maybe we can make an appointment to remote. 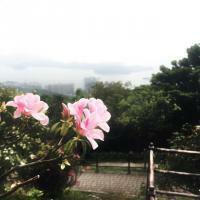 Hello and thanks for your reply. I tried everything, really everything and nothing worked... I think i will move to another, more reliable, browser instead, at least for a while. And that's why: Bookmark-Bar still does not automatically sort itself when something is changed in Maxnote and because of this flash message again and again: After many years of Maxthon friendship, I switched to Firefox-Quantum. Make it good Maxthon! I tried everything, really everything and nothing worked. Mine as well. The solution is right there in front of them and it has been working for me for years. I run it as admin for every version installation and never have this problem. Axiom41, have you really tried the Flash updater that 7twenty posted a link to? If not, then you haven't tried everything. I feel your pain. Sometimes I want to beat people around the head with shovel. You can lead a horse to water but you can't make it drink. In next 2 Images , the messages from each one of the 2 "updaters", but they didn't update anything. Sorry for the long post, but it sure will be my last one. I have downloaded your updater twice and this is what I get when I try to run it. 2. Create a "plugins" subdirectory in the Maxthon/Core directory. Odd. Due to the way the file is compressed during compiling there were a few false positives that show up using VirusTotal, but Defender on my system doesn't show anything. Flash was removed from the installer package due to Adobe's request. It's now required to be updated manually, which is why the message is shown when Flash is required. I don't think this was ever mentioned as an issue...something to have a look at. It was done a while back, because as far as i was aware not much has changed since then. Seems there have been some, mostly quite recently. The allow all sites... option is still there, just under the privacy section. Still easily accessible using the search option in settings. Yeah, that's definitely been a bugbear of Maxthon since forever. It shouldn't have to be this hard for the browser to use the latest version of Flash. Which was in part why i created the updater to simplify it for people that didn't want/feel the need/know how to do it all manually. Windows defender is what is flagging this for me. It just advises me and deletes it from my desktop. I don't think we should spend much time figuring out how to make Flash Player (any kind) work. Adobe has announced last July the End of Life Support at 2020.
t's time to make sure websites are using more modern video technologies in the next year and a half.